In this lesson, students compile and synthesize what they have learned in the preceding lessons by writing a research report. The research report includes Introduction, Methods, Results, Discussion, and References sections. Emphasis is placed on relating previous lesson activities to the original research question and hypothesis. Extensions and lesson alternatives include instructions for creating a scientific poster, writing a scientific abstract, or writing a science-related magazine article. 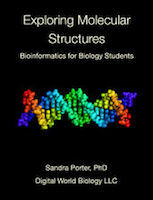 In Lesson Six, students learn how science and technical writers might use bioinformatics tools in their career.